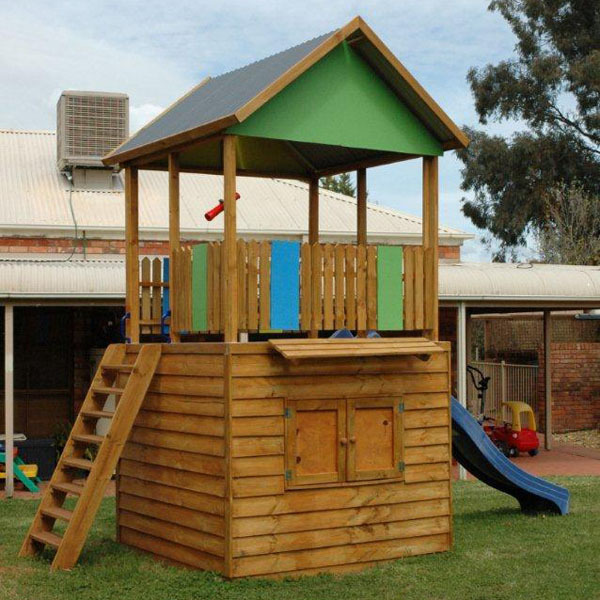 The Castle Tower is a premium timber product in the range. 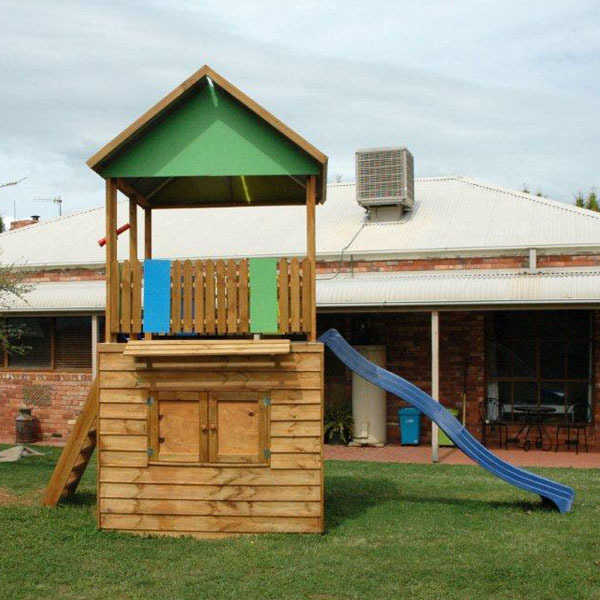 It is elevated to 1.5m with a 1.8 X 1.8m top deck. 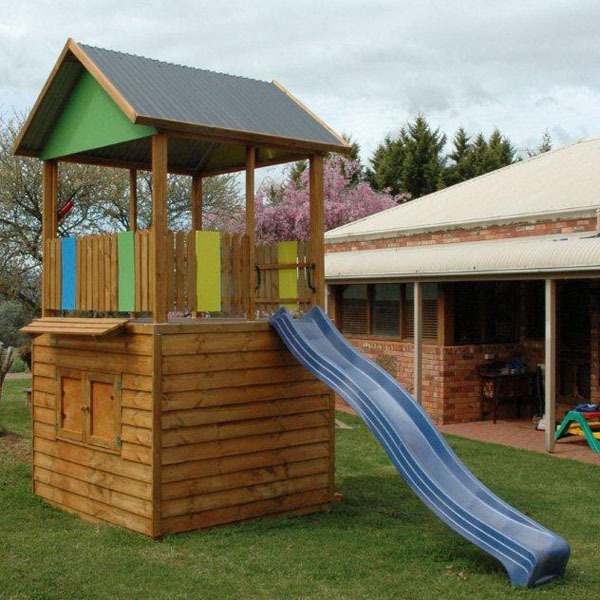 The top deck is an open Fort like structure complete with painted marine ply side panels and gables – your choice of 3 colours from our range red, blue, green and yellow – and treated pine picket fences and an external ladder. 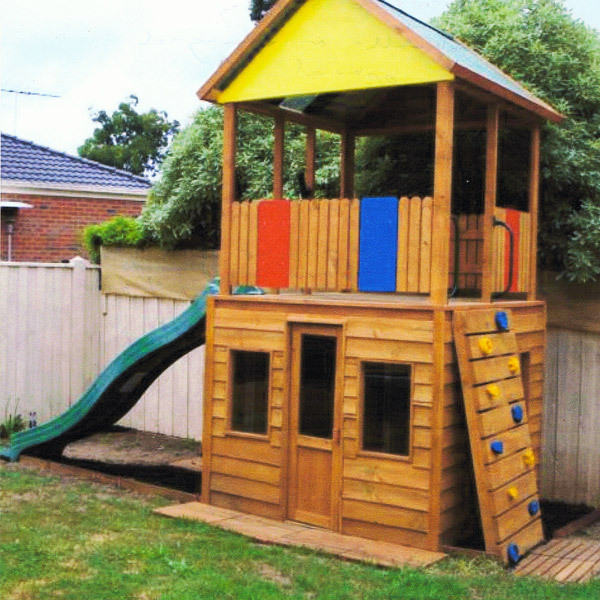 There is also a 3.1m wave slide coming off the top deck – your choice of colours from red, blue, green and yellow and a Colorbond roof – again your choice of colours from the Colorbond range.The boxed in lower deck is clad with child safe ACQ treated pine and has two front windows with clear sliding acrylic panels and a standard door. It rests on a Yellow Tongue covered floor attached to a sturdy treated pine frame. 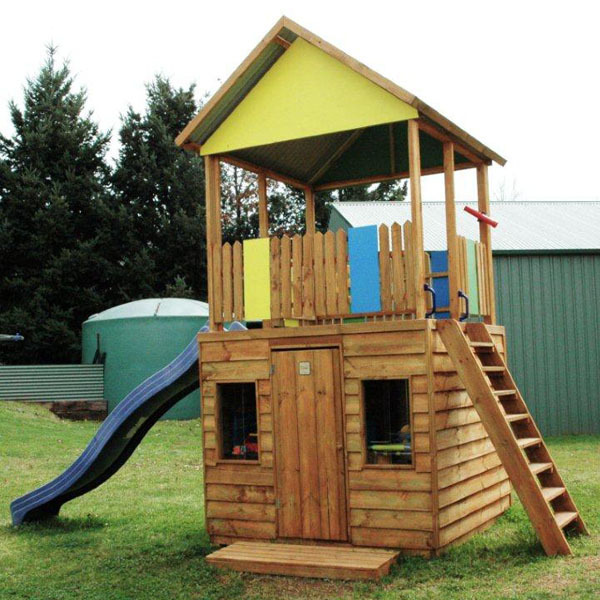 The Castle Tower, like all of our wooden producvts can be upgraded to include a variety of options and variations, including those below.